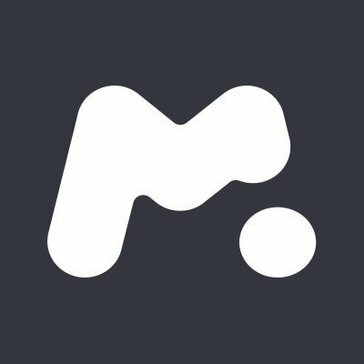 mSpy is a computer security for parental control. Helps parents to give attention to their children online activities. It checks WhatsApp, Facebook, massage and snapchat messages. "GREAT!! Can securely keep the best people on the team." I can see every word someone says to the person they are texting. I can see what people are saying without moving from my chair. It does not do everything all the time. Sometimes the data is not updated right away so it takes a few minutes for the data to upload. I do recommend it to anyone wanting to keep an eye on things. It is super easy to use and not costly. You will become addicted to watching the data!! You can monitor employees without them knowing. If they are off goofing around together you will know with the location tracker. If they talk bad about or steal from the company, you will know.
" Parental control for your children"
The software runs smoothly and has many optional features to keep my kid safe online. The fact of being able to count on GPS and knowing the location of the children in each moment is an added value for this application. Its installation is quite simple and quite friendly for its use. This app seems to work better than most parental controls. Trust me, I tried many. mSpy is the best. Without a doubt it is an application that gives peace of mind to its users, because we provide vital information about the behavior of minors. I think the cost of the application is a bit high. In addition, the after-sales service is quite deficient and slow. There are some functions that it says contain but it is not like that. The GPS function is of great importance for parents and one of the best attributes of the application. The problem that can be solved with Mspy is that you can know the location of children and adolescents at the time you want. Also know what applications they are using, provide peace of mind and the possibility of restricting that they can see. Knowing who they write and call provides peace of mind and the possibility of asking them to rectify. "Best tracking software on the market"
The ease of the software is great. It helps me track all of the history with various social media apps. There is nothing I dislike about this software. I only wish I found it sooner. We are solving issues with employees spending too much time on social media during working hours. * We monitor all mSpy reviews to prevent fraudulent reviews and keep review quality high. We do not post reviews by company employees or direct competitors. Validated reviews require the user to submit a screenshot of the product containing their user ID, in order to verify a user is an actual user of the product. Hi there! Are you looking to implement a solution like mSpy?